Many fans have lost faith in the Tom Clancy name over the last few years but Ubisoft are looking to change that with the announcement of Tom Clancy’s The Division. A number of websites have labeled it as an “MMO Shooter” and most have had first-hand experience, although Ubisoft didn’t confirm or deny the massively multiplayer aspect. However, many of the features and even the UI share many similarities with those seen in the MMO world. The official website states that Ubisoft designed the game without classes and emphasis on the solo play features. 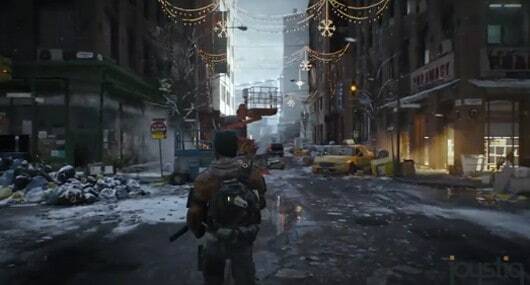 The Division will include a flexible build system, instanced encounters and group content, all of which are staple features of any successful MMO game. Multi-screen play will also be supported as players using tablets will be able to support their team as drones. We’re hoping to hear more once we get the opportunity to explore the show floor in greater depth so check back soon for updates!